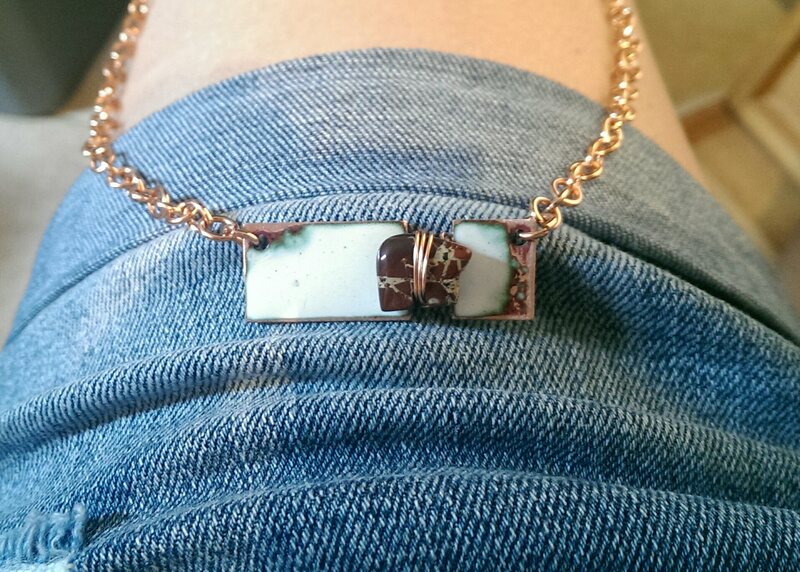 Intentionally over-fired titanium white enamel over hand fordged copper. Reduce brecciated jasper Zuni Fetish Bear wrapped in place with copper wire on a solid copper necklace. Handmade by yours truly... Free shipping!